For the people who take them, surveys can be fun, fast, and educational. But building them is a very different story. Questions can be worded in any number of ways – which way is best? How many questions is too many, or too few? Then you have to analyze and share results. For email marketers, surveys pose another challenge – with traditional surveys, recipients are forced to leave the email to take the survey. That’s a deal-breaker for people who aren’t motivated to leave their email. The solution: embedded surveys. These simple surveys can be delivered right in the message. In a few seconds, the recipient can take the survey, and sometimes see the results, while in the background, the input is delivered to the marketer. “By including the entire survey inside the body of the email, marketers can prevent the inevitable user drop-offs and collect exponentially higher responses than they would have otherwise,” Ayyar writes, citing data showing that embedded surveys increase response rate by 125% compared to traditional surveys. They use strong visuals. 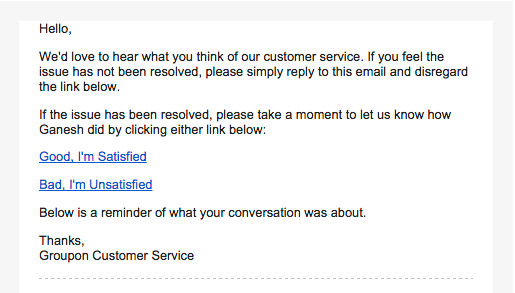 Check out this NPS example. The question text gives enough context so the user doesn’t have to read it twice. There is no “bait and switch” with surprise additional questions. 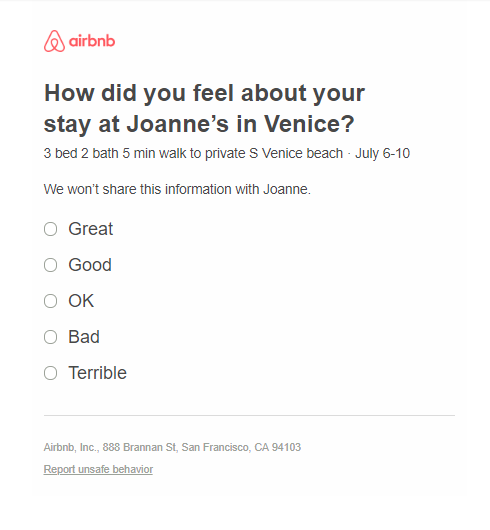 This embedded survey from Airbnb takes just a second to complete and provides the company with valuable data about their customer’s experience at a property. 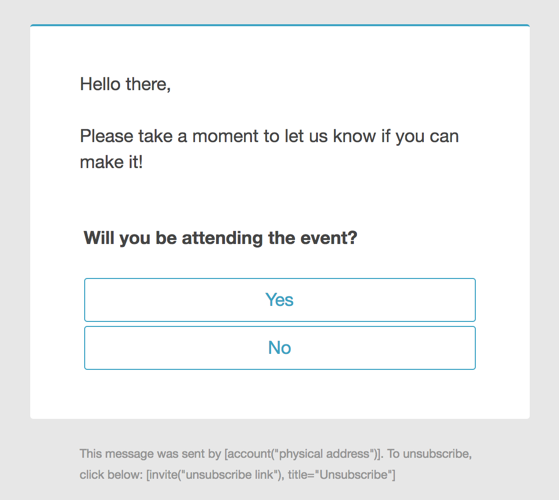 Embedded surveys like this one from SurveyGizmo make for quick and easy RSVPs. This quick and easy embedded survey from Groupon provides the customer with immediate feedback on the performance of a specific customer service representative. This entry was posted in Email Marketing and tagged embedded surveys, survey, surveys in emails on September 3, 2018 by Carine Alexis.